The Airbus in Australia Pacific graduate program offers engineering graduates the opportunity to join a global leader in aeronautics helping shape the future of Military Helicopter support and operations within Australia and around the world. Our graduate program is designed to provide you with the opportunity and support to experience different aspects of our engineering functions while you develop your knowledge and skills, technically and professionally. Through structured rotations, ranging from design work to in-service support you will be exposed to a broad range of interesting work and challenging projects while working within a variety of our engineering teams. Our program is aimed at producing well-rounded knowledgeable junior engineers that we hope will become industry leaders in the future. Our graduates work on 2 of the most innovative helicopter platforms of the 21st Century. 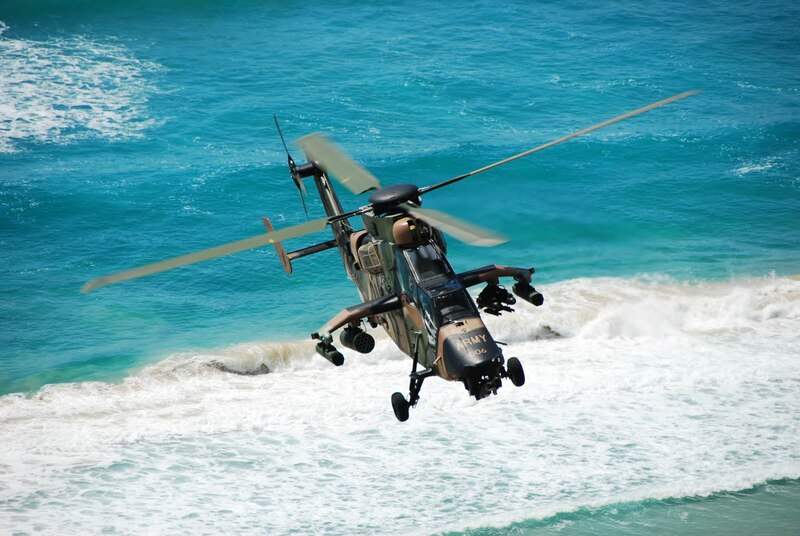 The MRH90 Taipan is one of the most advanced tactical troop transport helicopters of its time and the ARH Tiger is faster and more agile than its competitors in reconnaissance warfare. This is an opportunity to help shape the future of Australia’s Airborne Defence support increasing our humanitarian support capabilities and national security. Military Helicopter platforms you will work on: Armed Reconnaissance Helicopter (ARH Tiger) and Multi-Role Helicopter (MRH90 Taipan). Rotation period: 3-4 rotations, 6 month minimum duration per rotation. Engineering disciplines we look for: Aeronautical, Aerospace, Aeromechanical, Avionics, Electrical, Mechanical and Structures, Mechatronics, Software, Systems. Your contribution to the Airbus team: you will contribute to a team of engineers through your personal attributes including technical knowledge, passion for aviation, communication skills, enthusiasm, professionalism, integrity and work ethic. Program length: 1 or 2 year fixed term contracts. Our Hiring Managers personally review all applications that are received. As a result, our recruitment process takes place over a number of months. Less than 1 year of professional engineering experience (excluding undergraduate work experience). Be eligible for an Australian Government Security Clearance and have the capacity to satisfy pre-employment medical screening which may include drug and alcohol testing. As an Aircraft Structures Design Engineer, my job is to support the development of new capabilities for the Australian Defence Forces’ helicopters (MRH90 Taipan). My main task is to develop engineering artefacts for the qualification and certification process in Australia; this requires me to interpret a range of engineering documents and drawings from different sources. Moreover, I work with people from different business functions in the company, that gives me a good insight of how the organisation and our system operates. Occasionally, I attend meetings with external stakeholders, such as engineers from partner companies and the customers – helps me to better understand the project as a whole. The most challenging aspect I found at work is to understand the complexity of the project structure. This is to do with the nature of the project, which work is share between different companies and countries (i.e. NHI in Europe work on the design and our team focus on getting the design certified in Australia), each involved party manage their own part of the project separately with different time and resource constraints. Due to task dependencies, we will need to liaise frequently to track the project schedule and deliverables and to make sure they deliver on time for us to proceed with the project. For me, the most exciting thing about my work is to be involved in big projects that could be beneficial to the Australian Defence Force and helping to protect and serve our country. It is always a good feeling knowing that your work is contributing to a significant development, and having a sense of achievement when you see the progress. Plus, the hanger is just right next to us, where we can visit those aircrafts as much as we want. What work/project are you most proud of to-date? 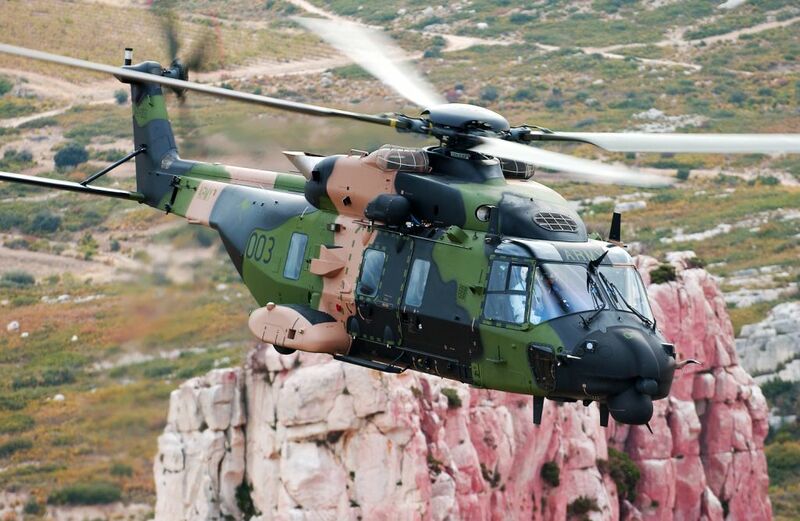 The project that I am currently involved in is the FRRES project, which is the enhanced Fast Roping and Rappelling capability that were planned to be installed on all 47 MRH90s in Australia. I help work on some engineering documents to support the installation of the new design and I felt a great sense of accomplishment when I see the actual part got installed on the aircraft for the flight test trials. Can you describe the type of working environment/culture? Airbus has a great work culture as they promote work-life balance by giving employee flexibilities with their work hours. In terms of the working environment, I feel like it’s a unified and motivated workplace where the team is working hard to accomplish assigned tasks. My colleagues are all friendly and approachable, and they are always happy to help me when I have any questions or concerns. Describe a ‘day in the life’ of a grad at Airbus? managing & maintaining the MRH 90 and ARH Tiger Hazard log. performing the ETOs on the MRH90 System Integration Rig (SIR) to verify that each system performs their required functions, and reviewing of ETOs for AIR90 project. MRH90 System Integration Rig uses the Avionic Real Time Integration System Tool (ARTIST) for real time integration and simulation tool. The MRH90 is an aircraft with very advanced avionic systems, such as fly by wire. These systems are also quite complex, so understanding them quickly makes it quite challenging, especially when things don’t go the way you expected. The MRH90 has very cool technology/systems to work on; you enjoy the work you do every day. There is always something interesting to learn. I’m currently working on a project called the Rig Video Recording System (RVRS). The intent of the RVRS is to enable the recording of test procedures undertaken in the ARH Tiger Software Support Centre (ASSC) for Australian Integration Rig (AIR) and MSSC System Integration Rig (SIR), so that it is possible to recreate any observed anomalies by re-enacting the sequence of button presses within the AIR and SIR RIGs. This project is now on it final phase, and Airbus AP planning to adapt Automation Testing, this project will provide video evidence of the Automation Testing. Everyone feels at home at Airbus AP, the diversity and inclusiveness regardless of your background, gender, age and experience is what makes Airbus the best company to work for. Airbus AP is committed to building a work environment that enables everyone to grow and contribute their best to the company. A typical day as a graduate depends largely on where you’re completing your rotation. My current placement with the MRH ECP Team means I spend most days developing and processing Engineering Change Proposals (ECPs). This involves working with other teams to process changes to the aircraft which need to be incorporated. This is a good mix of both technical work and task management, allowing me to develop skills in both areas. I think no matter where you are placed, team leads are happy to provide you with the same tasks as the rest of the team – which means a day in the life of a graduate is essentially a day in the life of any Airbus employee. The thing I find most challenging is working with such a wide variety of teams to deliver tasks within the defined deadlines. Each team is an integral part of delivering solutions for their respective platforms, and each team has their own priorities which don’t always align with your own. Working with 4 or 5 different people, each with their own priorities, to progress a task from start to finish is definitely a challenge. The two things I enjoy most are the different challenges my work offers, and the opportunity to see the work I’m performing physically embodied on aircraft. Every day there is something new and exciting to deal with, but after spending days/weeks/months overcoming challenges, it is incredibly satisfying to see my work having a real impact on the platform. So far I’m most proud of assisting in developing major design changes (to aircraft), as well as processing two major changes myself. When I first started at Airbus, I didn’t think I would be involved in tasks like this for a long time, however within a couple of months I was assisting engineers with major changes. That’s due largely to the team leads, who are more than happy to assign the same tasks to graduates that they would to more experienced team members. Another task I’m proud to have been involved in was responding to a Technical Safety Warning within the required timeframe to ensure the aircraft could keep flying. A smaller side-project I’m quite proud of is developing an interactive tool for the MRH90 ECP Team which will assist engineers from outside the team in classifying and processing ECPs. The tool is currently in development, but has the potential for substantial use across the engineering teams. It’s a very supportive and enthusiastic culture. From the start, the people I’ve worked with have been the absolute best at what they do. Everyone has unique knowledge and expertise which they are more than happy to pass on, and I often find myself in conversations with senior engineers just asking one question after another. There’s also an emphasis on work/life balance, and there are plenty of social opportunities: from the Friday morning bacon and egg breakfast to the weekly soccer games Friday afternoon. All in all, the working environment allows you to learn from experienced senior engineers while still being able to enjoy yourself both at work and at home. At Airbus Australia Pacific, we live Diversity as a core part of our identity: we have more than 130 nationalities and more than 20 languages are spoken within the company. We value Inclusion! Inclusion is a working environment where all employees are respected and valued for their distinctive characteristics and have a sense of belonging to their team and their company. We believe that when employees bring their differences, it triggers more engagement, creativity and performance. Inclusion and Diversity are on the critical path to a truly innovative culture, enabling us to compete on our global stage. If I applied previously can I apply again? You will only be able to submit one application per advertised role. However, if you have applied for the Graduate Program in a previous year and were unsuccessful, we encourage you to apply again the following year. We commence recruitment activities for our Graduate Program the year before the specific program intake. For example, for the 2019 Graduate Program intake, we begin recruiting in 2018. Typically, we advertise the Program and begin accepting applications in around April each year. Can I still apply for other roles in the business as well as the Graduate Program? Absolutely! There is no limit to the number of roles you can apply for within Airbus Australia Pacific. If I do not currently live in Brisbane, will Airbus Australia Pacific assist with my relocation should I be successful in securing a place in the Graduate Program? Yes. Relocation Assistance is provided for Graduates who would need to relocate to Brisbane in order to accept a place within the Graduate Program. However, Relocation Assistance is only provided to candidates who are relocating within Australia. Can I apply if I live outside of Australia? Can I apply if I completed my degree outside of Australia? Yes. However, you will need to have full working rights within Australia. Additionally, Airbus in Australia Pacific is a contractor to Defence and as such, some positions require the Employee to obtain a Commonwealth of Australia Defence Security Clearance. To be able to apply for the Clearance, applicants must be Australian Citizens. All applications that we receive are reviewed by our Graduate Program Hiring Managers, in conjunction with the Human Resources team. Our Hiring Managers have an Engineering background, so know what they are looking for when they are reading applications. We commence a new Program intake each calendar year, starting in January. I am applying from outside of Brisbane; will I need to cover the cost to attend an assessment centre in Brisbane? Yes, if you are selected to participate in the assessment centre and you are not based in Brisbane, you will need to organise and cover the cost of any transport, accommodation etc that you may require. What do I do if I am unable to attend an assessment centre? The assessment centre is a crucial part of our recruitment process. Unfortunately, if you are unable to attend the assessment centre we will not be able to progress your application. We try to schedule the assessment day in University holiday breaks where possible.